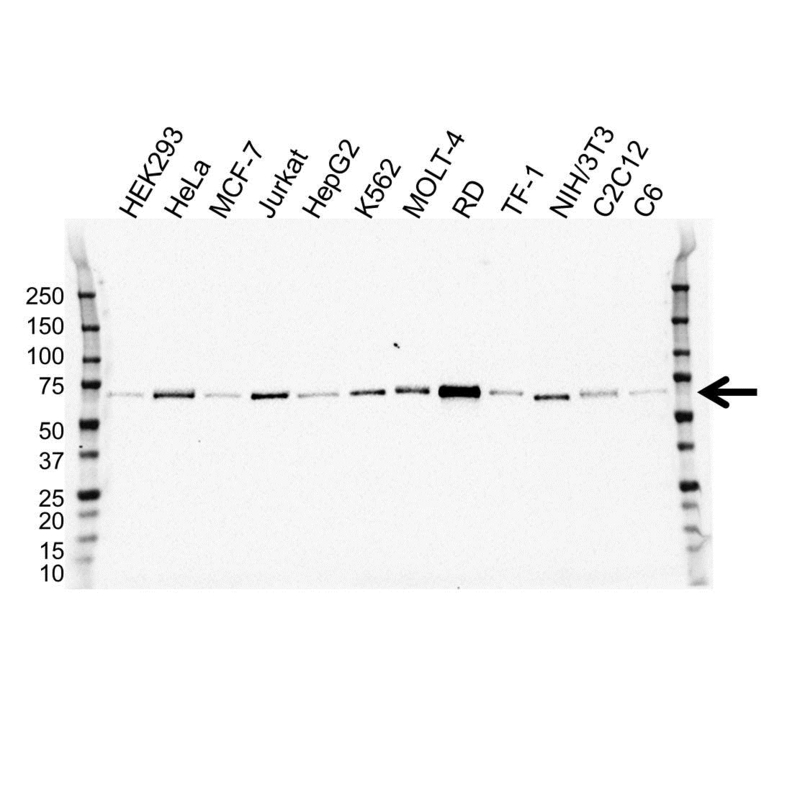 Myocyte-specific enhancer factor 2D antibody recognizes myocyte-specific enhancer factor 2D, also known as MADS box transcription enhancer factor 2 or polypeptide D. This antibody has been extensively validated for western blotting using whole cell lysates. Mouse anti Human myocyte-specific enhancer factor 2D antibody recognizes myocyte-specific enhancer factor 2D, also known as MADS box transcription enhancer factor 2, polypeptide D and myocyte-specific enhancer factor 2D. MEF2D encodes a member of the myocyte-specific enhancer factor 2 (MEF2) family of transcription factors. Members of this family are involved in control of muscle and neuronal cell differentiation and development, and are regulated by class II histone deacetylases. Fusions of the encoded protein with Deleted in Azoospermia-Associated Protein 1 (DAZAP1) due to a translocation have been found in an acute lymphoblastic leukemia cell line, suggesting a role in leukemogenesis. The encoded protein may also be involved in Parkinson's disease and myotonic dystrophy. Alternative splicing results in multiple transcript variants (provided by RefSeq, Oct 2012). Mouse anti Human myocyte-specific enhancer factor 2D antibody detects a band of 70 kDa. The antibody has been extensively validated for western blotting using whole cell lysates.